Best Buffets caters for all occasions; private events including parties and weddings or business functions such as conferences, meetings or training. A wide range of buffet menus are available to meet your needs. Special dietary requirements are happily catered for on request. We prepare and deliver fresh, quality food to any venue across Wrexham. We can provide buffets any day of the week during the day or evenings. Buffets start from only £3.60 per head and delivery is just £5.00, free if the buffet is for over 25 people. Ring Best Buffets on 01978 310984 to discuss your requirements. We will help you choose a buffet that meets your needs and prepare it for you from fresh ingredients. 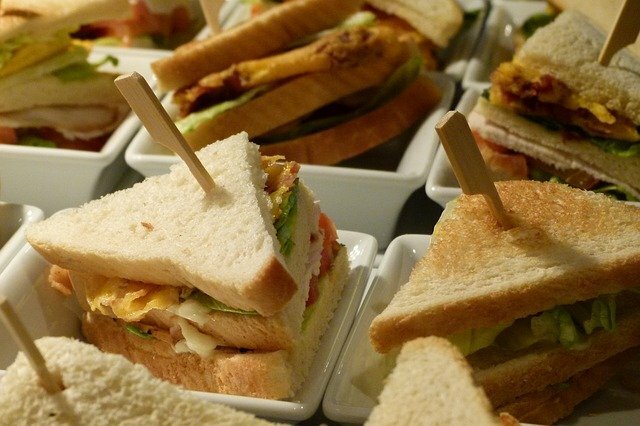 Best Buffets can deliver your buffet to any venue in Wrexham and we will lay the food out to provide an attractive and tasty buffet for your guests. We are based at Caia Park Centre in Wrexham. Caia Park Partnership is able to provide rooms for hire that are ideal for parties, conferences and training events. Best Buffets specialises in providing buffets for private events and business functions (see our sample menus below). Best Buffets can also host children’s parties at Caia Park Centre or at a venue of your choice. Best Buffets offers Children’s parties with our special children’s menu. We can provide an excellent function room for your child’s party at Caia Park Centre, Prince Charles Road. The room, which can hold up to 50 people, will be prepared and decorated with balloons and banners from just £30. Children’s entertainment such as face painting can be provided on request.